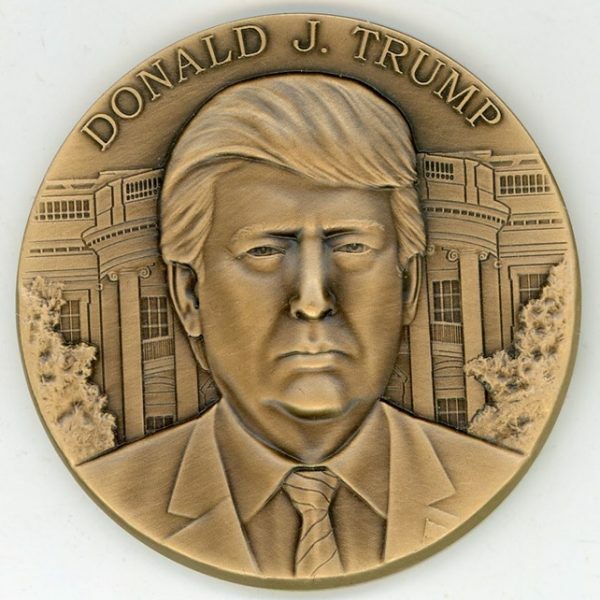 Rare Donald Trump Republican National Committee Inaugural Luncheon Medal 70mm. Bronze. Peer Hansen, Sc. MEDALCRAFT MINT incused on the bottom edge. Choice Unc. Housed in its original presentation box with wooden stand. Obverse with a grim front facing bust of the President-elect with a view of the White House in the background. 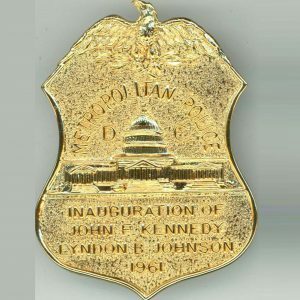 DONALD J. TRUMP inscribed above. 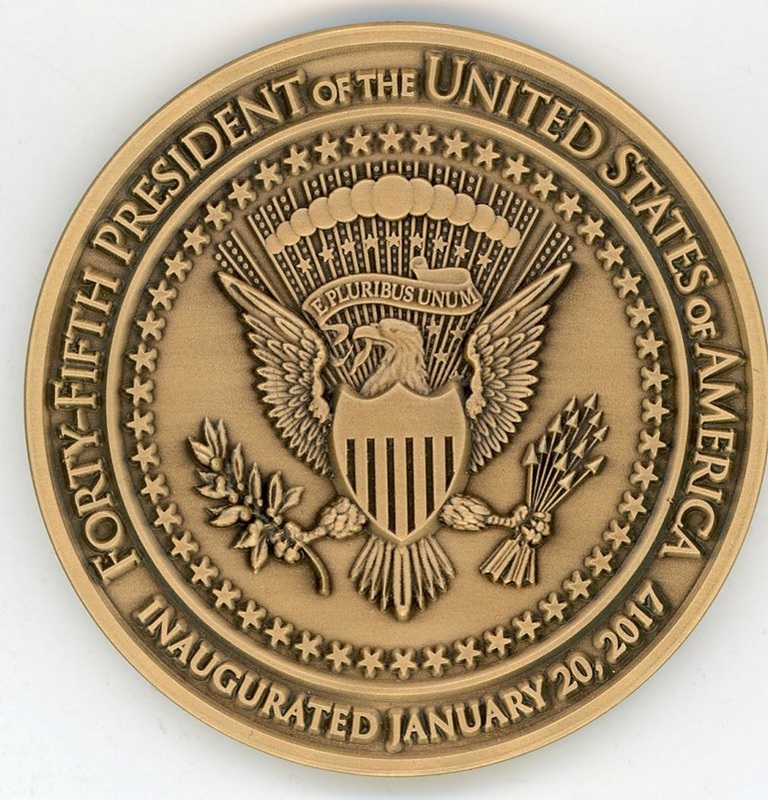 The reverse legend reads: FORTY-FIFTH PRESIDENT OF THE UNITED STATES OF AMERICA INAUGURATED JANUARY 20, 2017 around a representation of the American eagle as it appears on the Presidential Seal. On January 19, the day before the Trump Inauguration, the Republican National Committee and the Trump Campaign Committee sponsored a leadership luncheon held at the Trump International Hotel. 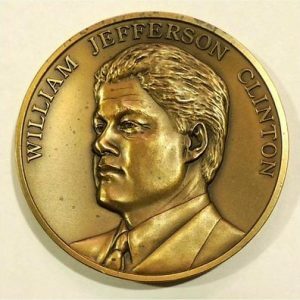 Each attendee received one of these handsome medals. 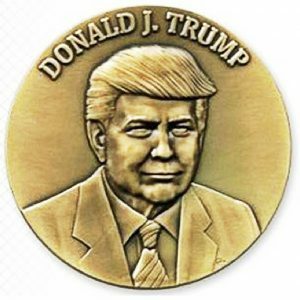 This is probably the closest thing there is to an “official” inaugural medal for President Trump. 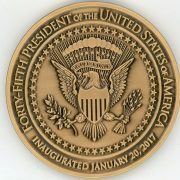 However, since it was not commissioned by the Official Inaugural Committee, we cannot bring ourselves to call it the “official” medal! Our understanding is that around 500 of these medals were struck and presented to attendees at the luncheon.